“I don’t think anyone will hear another rock album like this all year,” guitarist and vocalist of The Virginmarys, Ally Dickaty, comments on their latest tour de force. It only takes a single listen to know he’s right. Because you won’t. In fact, it’s something you could apply to their previous two albums and indeed, you won’t hear another band like this one, past or contemporary. 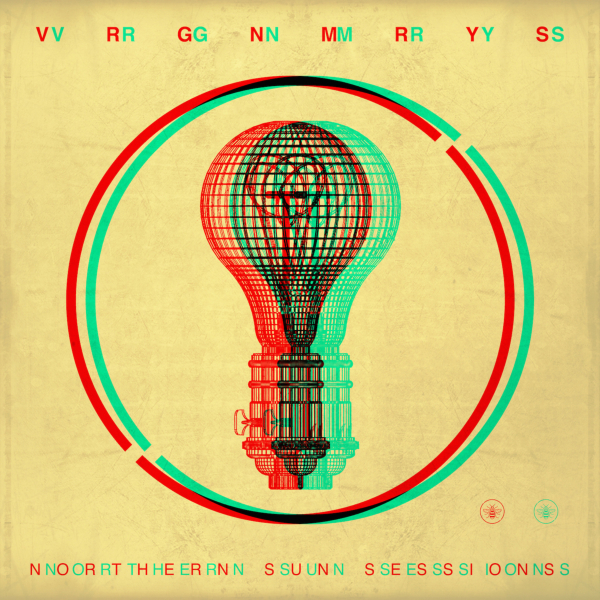 Northern Sun Sessions continues the self-produced, self-released format from the Sitting Ducks EP on a grander scale to make an incredibly special album. Much like past releases, the Macclesfield-based band are intent to not repeat themselves, pushing forward, continuing to make fresh sounds but staying true to what grabs the ears of everyone who listens to them: hard rock with hard-hitting lyrics. As the band mentioned last year, this album was meant for the fans to hear everything they’ve worked on in the past, including the demos they sent to fans throughout this past year. Opener “Look Out For My Brother” is instantly familiar to anyone who has seen the band in recent times, having debuted it last November. With its massive groove, it may not have you springing into a moshpit but it will have you moving regardless as Ally’s lyrics plead that if a cold, callous government can’t look after its people, then the individuals must look after one another in the hope that helping someone will encourage them to help another and so on. The other big familiarity is the album’s namesake “Northern Sun”, having existed as an acoustic version online and a massive plugged in version which was shelved for a time; it’s back. With a sombre opening before the band launch themselves into it full force, it’s loaded with raw emotion, just like the entirety of their catalogue. Meanwhile, “Blind Lead the Blind” is the song closest to its demo form, full of roars from Ally and backed by Danny Dolan’s monstrously fierce drums. Elsewhere “Eye For An Eye” has an “Immigrant Song”-style gallop to it with its bass and Ally channels his inner blues demon on “Get Me Back Home”, digging out the slide for their bluesiest moment since “Ends Don’t Mend”. However, their most potent moments bookend the album with “SOS4UNI” and “Step Up” containing some of Ally’s most feral screams to date and the former playing host to the most frantic drumming Danny’s ever imparted on record. Then, there’s the finale of “All Fall Down”. Whilst it may not have the epic length of “Ends Don’t Mend” or “Living in My Peace”, it matches it on grandiosity and emotion. With its tender opening, like the final tracks which came before it, it builds to a massive crescendo as screams match thunderous drums, both Ally and Danny supporting each other to raise their game before it reaches its shattering conclusion. If ever there was a perfect song to end a live show before the encore and indeed, the album, this is it. Throughout the album, both Ally and Danny push their capabilities as musicians and what a Virginmarys song can sound like. They’ve never been a band to make an album full of the same type of song and here is no different. If anything, they stretch their muscles more than ever to give more variation than ever yet there’s not a track on here which will make you say “This isn’t The Virginmarys”. What ties it all together is the intensity of the lyrics, the vocals, the drums and the guitars. Ally’s not shy in addressing his past either such as on “Flags” or “Northern Sun”, discussing his ongoing sobriety with a positive outlook and offering hope to the listener; no matter what their own issues are, he wants you to know there is a light at the end of the tunnel. Danny himself is side by side with his brother and whilst he does make an effort to produce his most frenetic performances yet, he knows when to hold back, showing the utmost finesse in the softer moments. As they continue to evolve, Northern Sun Sessions has everything you’d expect in a Virginmarys album. There’s intensity, there’s tenderness. Full of big choruses, lyrics offering hope, support and relatability. Massive riffs are supported by equally gargantuan drums and much like the albums and EPs which came before, every aspect of the music is full to the brim with passion. This is the album The Virginmarys have always wanted to make. You won’t hear another rock album like this all year.